Tech Guru had a one-on-one with Dr. Ponani Gopalakrishnan, VP - India Software Labs to find out what’s cooking at IBM. Question : Tell us about IBM’s smarter planet initiative with a few examples of the technology used. Answer : Let me give you a background first. Today we’re at an intersection point. Device level instrumentation as well as system level instrumentation – things like RFID (Radio-frequency Identification) tags as well as sensors – are everywhere. Even your cell phone is a sensor, with the help of which your location can be triangulated. As these systems are getting interconnected, the reach of the information network has become broader. This is what we believe is helping us build a smarter planet, where things are a lot more instrumented, interconnected, and intelligent. An example is Singapore, where we can predict traffic conditions, thanks to RFID tags that are put in place in cars. The same RFID tags can help you track movement of your goods through the supply chain. Cities can be built in a smarter way too. Let’s take security as a case in point. Today, we have video surveillance technology that is able to automatically detect key events that are going on in a scene under surveillance. Cameras distributed through the city observing street feeds can analyses suspicious activity automatically. Commotion, mob gathering, objects being left unattended that have not moved for a while automatically raise alarms in the system. Physically manning so many feeds otherwise is impossible. Patterns are defined, and our algorithms look through feeds frame by frame. We’ve deployed this in Chicago and in India Hyderabad international airport has implemented this system as well. 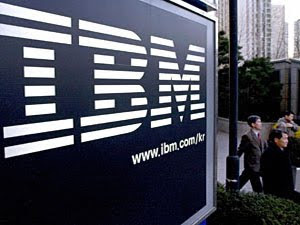 Question : What are the other interesting projects cooking at IBM software labs? What can we hope to see in the future? Answer : In a geography like India, we believe that accessibility and the internet will find more takers in the mobile phone platform. So we’re working on technology that will translate the experience of the web to the mobile phone platform. Spoken Web is a project where people can speak and interact with web information through voice. A pilot system has already been deployed with Amul – one of the largest dairy distribution systems in the world. Their suppliers are members of small co-operatives that are not literate and far flung. How do you get them to participate in your network for information sharing? Prices, availability, quality standards etc. are the information points that are needed. With Spoken Web, voice sites are put up to publish latest prices. A farmer can call up a number and the system will prompt him to press/say a number for the price. Say a collection truck hasn’t arrived, the voice site will link the farmer to the voice page of the nearest available truck. Business Finder is another innovation coming out of our research organization. This will utilize our service delivery platform which we have built for our telecom clients such as Airtel. With Business Finder, for example, we can get a taxi to come right here where we are now, based on a single request or SMS, without giving any location specifications. The taxi company gets my location and dispatches the closest driver. Business Finder combines location based services, capabilities that smaller service providers have, and links it into the service delivery platform. So if you are a taxi fleet owner, you can register through the service delivery platform and have network subscribers routed to you. End users get to know which service providers are available in a location, who are the most reputed ones through a notification mechanism, and who are the most cost effective. Question : How does the predictive algorithms work in the traffic regulation technology that you spoke about? Answer : We take real time information – volume of traffic and so on that comes from installed cameras and RFID tags in cars. We also take static information such as the distance and type of roads along with historic data such as peak traffic during certain days and times. This data is integrated and churned to predict traffic movement. It can be used to manage traffic lights, send alerts to the consumers (citizens) via SMS, and it can also be used for planning in the future.